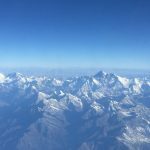 At 29,035 feet, Everest soars high against a backdrop of vast blue sky surrounded by the highest mountains in the world deep into the heartland of the Sherpa people. Follow in the footsteps of Tenzing Norgay and the historic first ascent of Mt. Everest by the British expedition in 1953 this is a 17-day journey to the base of Mt. Everest. The classic Everest Base Camp journey begins and ends in Kathmandu. Nestled between mountains and plains, the city is alive with energy. We spend two weeks in the land of the Sherpa people hiking through many small Sherpa villages, discovering remote monastic caves and getting an insight into the lives of the Sherpa people while acclimatizing your body to the altitude of 18,000 ft.
See the fabled Khumbu Ice Fall and its towering seracs close by where we hike to an altitude of 18,000 feet to the summit of Kala Patar for an unobstructed view of Everest’s windblown summit. Transfer to Hotel and have the afternoon for Shopping and collection of Equipment. Overnight Hotel. Transfer to airport for mountain flight to Lukla airstrip. Trek along the Dudh Kosi to the village of Phakding have lunch at Phakding and continue on our walk to Monjo which is about 2hrs Walk. Overnight Monjo. Today the trail officially enters Sagarmatha (Everest National Park. There is an entrance station just beyond the village where trekking permits are checked. Continue along the trail and begin the steep climb up Namche hill to the Sherpa market town of Namche Bazaar. Overnight Hotel. Today we will take a day walk to the village of Thame (12,400’). A moderately easy walk to the Sherpa village of Thame, situated at an important junction along the old primary trade route to and from Tibet via the Nangpa La Pass. Then we walk back to Namche. Overnight Hotel. Day 06: Namche Bazaar to Deboche( 12,300′). Descend into the deep Dudh Kosi Gorge and then begin to climb steeply on the other side to Tengboche Monastery. 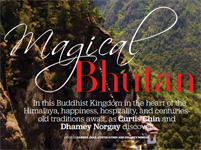 It is the largest and most active Monastery in the Khumbu region. Tengboche is a spiritual center of the entire Mount Everest region. With the treasures of Ama Dablam and Mount Everest in the background, the spirituality and scenic value of the site never fail to impress. We then decent for about 30 min before we reach Decoche. Overnight Lodge Deboche. Day 07 : Deboche to Dingboche(14,500′). This is a rest day for acclimatization. 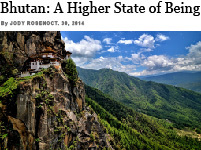 Day hikes are possible to Chukkung. Overnight Lodge Dingboche. After a morning of rest, we hike a trail high above Tsholo Lake and rejoin the main Everest trail near the terminal moraine of the Khumbu Glacier. Overnight at lodge at Lobuche. The classic day hike to the Base Camp (17,600’) of Mt. Everest. It takes about three hours to get to base camp and then back to GorakShep. Overnight Gorakshep. We will start our walk to our high point at Kala Pathar ( 18,000ft) early morning abour 5 am to get the greatest views of Everest and it’s surrounding mountains. Afert that we come back to Gorakshep and have breakfast. After breakfast we leave for Dingboche. It is all downhill and a beautiful walk into the valley of Dingboche. Overnight Lodge. One of the most beautiful valley walks on earth is today’s hike through the lovely meadows of Tengboche Monastery, which was destroyed in a fire in January 1989. Tengboche was the spiritual center of the entire Mount Everest region. 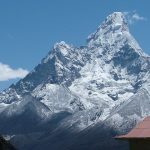 The building, with the treasures of Ama Dablam and Mount Everest in the background, was of unparalleled beauty, and we may experience a great sense of loss as we trek to it. However, it is encouraging that none of the residents of the monastery were injured in the fire, and now it has been totally rebuilt.We have lunch at Tengboche and we continue on our way to Kyangjuma.. Overnight Lodge. The trail drops sharply down the Dudh Kosi and the continue along the Dudkosi until we reach Phakding. Overnight Lodge. A long day’s walk retracing our steps to past Phakding into Lukla. Overnight Lodge. Spare day for flight delays and shopping and optional sightseeing. Transfer to Airport. Depart Kathmandu.